IT must be an unusual distinction for a British engineer to have his name given to several towns in the United States, yet the name of Sir Henry Bessemer is thus perpetuated. Bessemer’s father, a Londoner, was taken as a child to Holland. He became a mechanical engineer there, and then migrated to Paris. During the French Revolution he fled to England and settled at Charlton, in Hertfordshire. In this quiet village, on January 19, 1813, Henry Bessemer was born. The boy, his schooldays over, spent most of his time in his father’s type-founding factory, where he picked up a good knowledge of alloys and engineering processes. The business was transferred to London when Henry was seventeen years old, and the youth had a wider field of opportunity. His unbounded energy led him from one invention to another. He experimented with methods of reproducing perishable natural objects in metal and was rebuffed by the British Museum authorities. In bronzing such castings he anticipated the discovery of the art of electro-deposition. While investigating the method of making lead pencils he initiated the modern process of using compressed plumbago powder; and, by casting stamping dies instead of engraving them, he cheapened the process of embossing cardboard and leather. These last investigations had an important national consequence in the year 1833. The Government of that day was losing revenue to the amount of over £100,000 a year from the fraudulent re-use of embossed stamps from old deeds, and it struck Bessemer that such stamps could be easily imitated if his method of die-making became generally known. He manufactured six stamps in this way and took them, with six genuine ones. to the Stamp Office, where he had difficulty in convincing the Controller that he had forged half the specimens. This daring approach provided strong support for his proposal to adopt dated stamps and perforations, and thus to safeguard the Stamp Office against further loss. 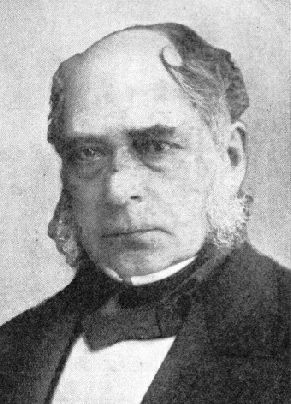 After he had submitted certain specimen dies, Bessemer's proposals were adopted, a special Act being passed through Parliament for the purpose. For some forty-five years the inventor went unrewarded for this public service, that is, until 1879, when he was knighted by Queen Victoria. Bessemer’s next inventions were a machine for embossing Utrecht velvet, which was most successful, and a typesetting machine with a keyboard resembling that of a pianoforte. This machine, invented in 1838, did not long survive, because of opposition from hand compositors. Bessemer was then struck by the high cost, about £6 a pound, of what is commonly known as “gold paint” in relation to copper alloy, the raw material from which it is made, then costing 11d. a pound. He rightly concluded that the method of manufacture must be a slow hand process. The powder was then wholly imported from Germany, from which country no technical information was forthcoming. Having set to work on this problem, Bessemer designed an entirely original set of machines for producing the powder. The several parts were made in different towns and then assembled and set to work in an isolated house near St. Pancras, London. Here, with Bessemer's brothers-in-law as the only operatives, the powder was manufactured in complete secrecy for over twenty years and sold at an enormous profit, though the selling price was considerably reduced. The money gained from this venture enabled Bessemer to make the costly and lengthy experiments which led to the development of the Bessemer converter for transforming cast iron into steel. Up to 1855, when the converter was patented, and for some years afterwards, steel could be produced only in small quantities at a time and at great cost. Nearly everything nowadays made of steel was, before 1855, made of the softer and weaker wrought iron. The whole story of the birth of this great invention is absorbing and, in Bessemer’s ultimate triumph over his many opponents, dramatic. Briefly, steel is made in the Bessemer process by first getting rid of the impurities in cast iron, thus obtaining nearly pure iron, and then adding a little carbon and manganese to turn this into steel. The remarkable thing about the process is that no fuel is required, the combustion of the impurities themselves, in the presence of air blown through the already molten cast iron, supplying sufficient heat to keep the mass fluid. The adoption of the process greatly reduced the price of steel and at the same time enormously extended its field, as large quantities could be rapidly produced. Cold-shouldered at first by nearly everyone, the Government included, Bessemer was impelled to set up his own steel works in Sheffield, Yorks. These were started in the year 1859, and five years afterwards every steel-producing country was using the process. Modern engineering was then born. Bessemer was concerned with many other inventions as diverse as machinery for crushing sugar cane and for polishing plate glass, and as modern as the streamlining of trains and the reduction of rolling motion in steamers. By the year 1880 he had 120 patents to his credit. He died at his house on Denmark Hill, London, in his eighty-sixth year, on March 15, 1898. You can read more on “Fuel for the Modern Steelworks” on this website.